Lowa Tibets - what leather conditioner?? Thread: Lowa Tibets - what leather conditioner?? I bought a pair of lowa tibets about 6 mths ago. Good boot, and I'm happy with so far, a little bit of rand starting to come unglued in one spotf spots is the only complaint so far . I noted in the instructions that they were very specific in regards to leather treatment, going so far as to claim warranty would not be honored if certain products were used, so I stuck to the lowa active creme that came with them but I'm not really happy with it - the leather's drier than I'd like. Now that I've finished the tube that came with boots, I'm looking for something else. With all previous boots (scarpas and asolo's), I've just used sno-sneal with good results . What are other's using on their tibets?? 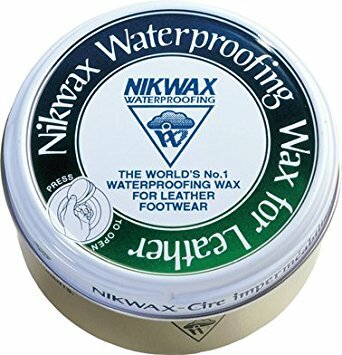 I’ve stuck with the Lowa products - water stop in combination with the cream as recommended and the boots are great after a couple of years. I use the product every time I go out. They do look sort of dry but they’re supple and waterproof so I figure it’s just appearance. If I were you I’d stick with their stuff. They advise against grease based stuff like dubbin etc. The instructions say apply the waterproofing then the creme. The guy where i bought my renegades said he does creme first, otherwise the waterproofing stops the creme penetrating. Made sense to me! I was advised never to use that stuff by a cobbler. Destroys the adhesives used to make the boot apparently. I tried that Lowa stuff but gave up as it did SFA. I use Gregor Chemie leather care now and have done for ages. Best stuff I found to keep the leather waterproof and fed. I last got 1 for free when I bought 1. Still haven't used the first tube up. It lasts for ages! Apparently you cant buy it any more? Works a treat never had wet feet or issues with boots from its use. I also have Lowa Tibets, reasonably new. I pout the SnoSeal on them, has made them very dry... From the responses on this thread I still haven't got a clue what to use!! I have used the Lowa creme and waterproofer. Seems to have worked OK so far. I have put some avocado oil on the flex areas to prevent cracking. Just about out of Lowa creme so have to decide what to use next.